I had the pleasure of watching the beautiful Alegra Fantail perform recently at The Nivara Lounge and what a stunning performer she is … she had the crowd on the edge of their seats with her cheeky and sassy act. 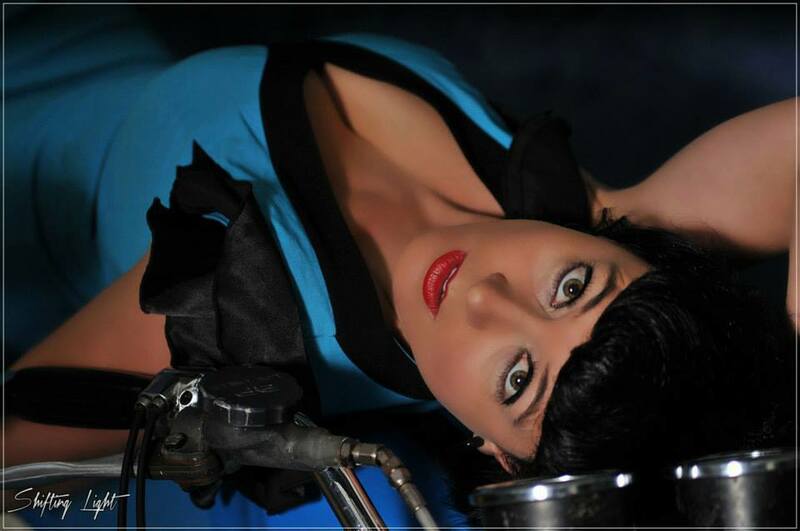 I’m very, very pleased to feature her here on Pinup December. What Alegra Fantail is most proud of this year … (in her own words) “Proudest moments? Collaborating with a talented group of artists and releasing Blue Sapphire Electroswing Collective to the world last summer. It is a burlesque electroswing set, with lots of fun and tease – of course! Join Alegra Fantail on Facebook: click here. Posted on December 27, 2014 December 25, 2014 by MumptyStylePosted in Burlesque/PinupTagged Alegra Fantail, Blue Sapphire Electroswing Collective, burlesque, discount code, Flo Foxworthy Costumier, KASM, pinup, Pinup December, The Nivara Lounge.